Our family ministry is passionate about helping families know the Lord, and the good news that we have in Jesus. Each of our family ministries play a role in helping show the good news of Jesus, journeying with families from where they are at. We are committed to seeing our family ministries grow the Kingdom of God. 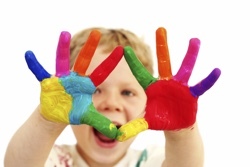 These are events and programs that we run specifically to engage families together, or with the greater family unit in mind, such as family nights, marriage counselling, or special family events. As one of our core values is empowering parents we believe it is important that we provide opportunities for this to take place. 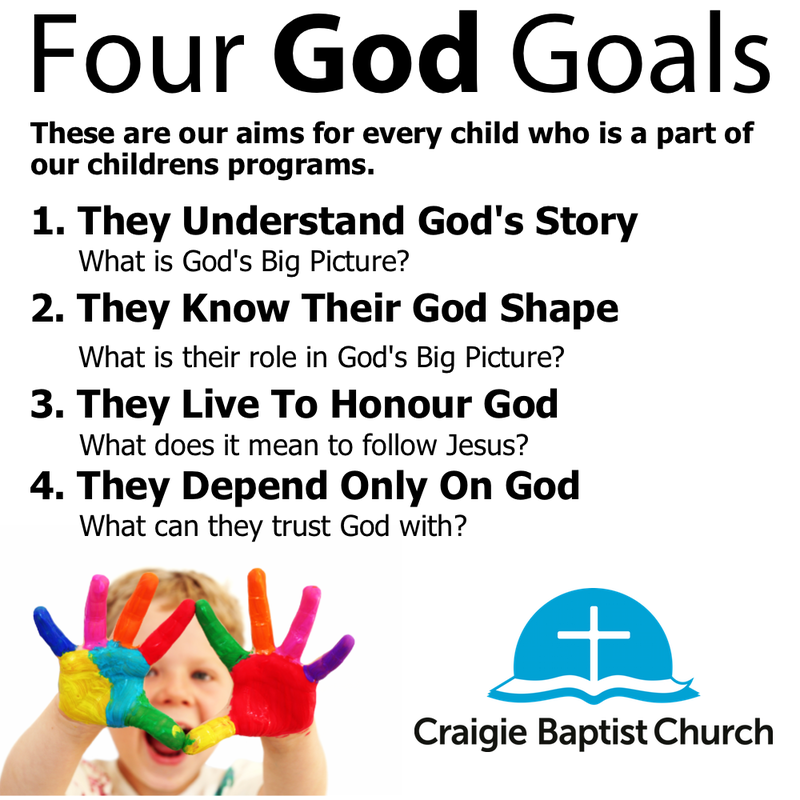 At Craigie we recognise that the bible see’s parents, and families, as the primary disciple makers of their children. We see our role as coming alongside parents and helping to partner with them in journeying with their children towards Jesus. We recognise that not all children have Christian parents and so we’re passionate about connecting with families in the community, that we may be able to share with them the good news of Jesus. Jesus called us to make disciples. We believe that disciple making involves spiritual growth, becoming more and more like Jesus. We believe the church has a lot to offer families to help them foster and encourage the spiritual growth of themselves and their children. The old saying ‘it takes a village to raise a child’ is perhaps never more relevant than now. In our world today many children do not have a relationship with people outside their generation other than their parents. We believe that God created community with a purpose and one of the purposes was to raise children. The church has significant value to offer our world by enabling people of all generations to journey together towards Jesus. We recognise that we stand upon the shoulders of those who have passionately cared for children and families in the past and we live in the present with the families in our midst. We also always look expectantly forward to the future, believing God has many more families and children to be a part of the story of our families ministry here at Craigie and we’re always seeking to learn what our ministry needs to look like to be able to reach these families. ​We believe that partnering with parents in the discipleship of their children gives us the best chance to see our children grow up to Understand God’s story, to know where they fit, to choose to live for Jesus and to always trust and depend on God. We also aspire to help parents to be the best parents they can be because we believe that helping families provides the best possible chance for our children to become all God wants them to be. 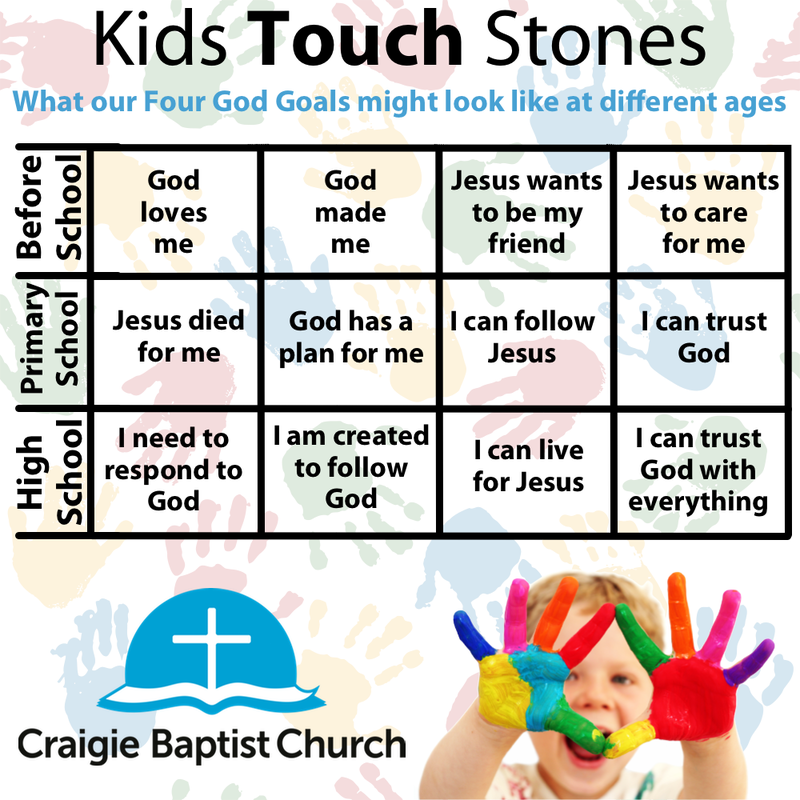 At Craigie we’re passionate about reaching out into the community and sharing the good news with families who do not yet know Jesus in the hope that they’ll come to know Him as their Lord and enable us to partner with them on their families journey.